By Amid Amidi | 01/18/2019 4:55 pm | Be the First to Comment! The Berlin International Film Festival, aka Berlinale, has announced the short film line-up for its 2019 edition, which will take place from February 7-17. 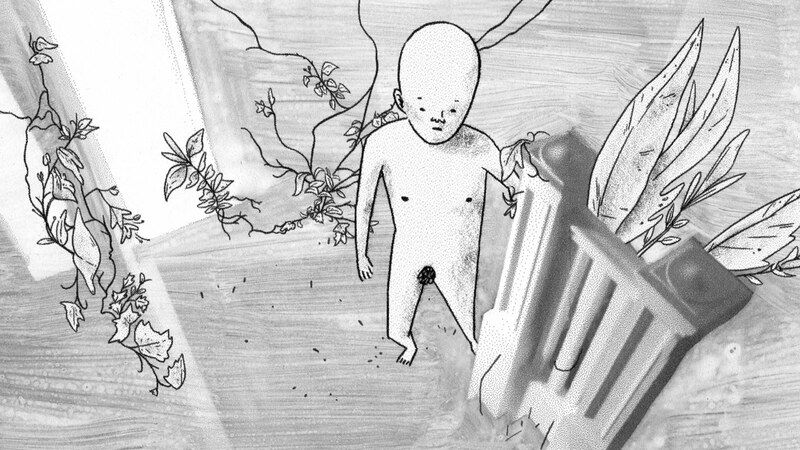 Among those 24 films, there’s at least four animated shorts including two new projects from Hungary: Luca Tóth’s Mr. Mare and Flóra Anna Buda’s Entropia (pictured above). 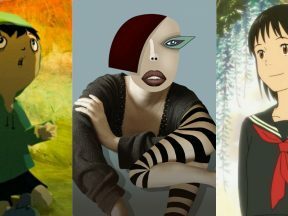 The Hungarian selections at Berlin are particularly notable because last year Hungarian filmmaker Réka Bucsi won the festival’s Audi Short Film Award — and its accompanying 20,000 euro cash prize — for her animated short Solar Walk, which world premiered in Berlin. The International Short Film Jury at Berlin this year is composed of Jeffrey Bowers (USA), senior curator at Vimeo; Vanja Kaludjercic (Croatia), director of acquisitions at MUBI; and Koyo Kouoh (Senegal), founder/artistic director of Raw Material Company. Described as a “surreal animated chamber play, set in a ‘haunted’ claustrophobic space, in which we witness the dynamics of unrequited love as we follow the relationship of an oddly codependent pair.” Made at Boddah Studio in Budapest, in co-production with Sacrebleu Productions. A lost man falls apart in a forest. The quiet, atmospheric terrain of the forest is undisturbed until a man comes along. Seemingly lost, he enters the unknown space, observing and exploring the area, before he starts to fall apart. Beneath the deceptively simple actions of the character lies a layered approach to his psyche, which hinges on isolation and a sense of belonging. “Kingdom” by Tan Wei Keong.